No added sugar is needed in this raw foods recipe since this applesauce is naturally sweet. Just be sure to use sugar-free, naturally dehydrated fruits or dates in order to make this recipe truly raw and appropriate for those on a raw foods diet. If you're not concerned about it being raw, any dried fruit will work just fine. Try experimenting with dried peaches and pears, as well as apricots - yum! Place the dates or dried fruit in a small bowl and cover with the water. Allow to soak for at least 15-20 minutes. This will soften the fruit and make it easier to blend. 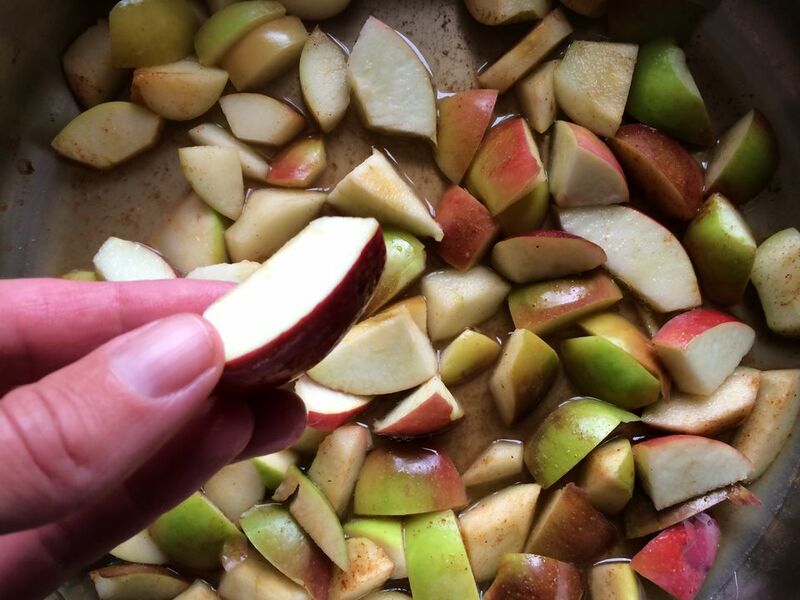 Remove the core from the apples, chop into several large chunks each and place in blender or food processor. Add the fruit and the water and puree until smooth, adding a bit more water if needed. Garnish with a bit of freshly ground cinnamon if desired.